As rumors continue to heat up regarding a Siri-driven personal home assistant with high-end audio, Amazon is preparing to expand its own Alexa lineup, with a new leak revealing a touchscreen flagship Echo with camera. 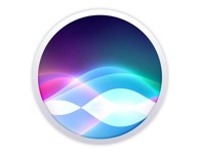 More info: "Siri Home Speaker"
A low-resolution image of the alleged hardware was discovered on Amazon's servers by AFTVnews.com. The same site found the style-focused Echo Look in the same manner before the AI-driven fashion advisor was officially announced last week. 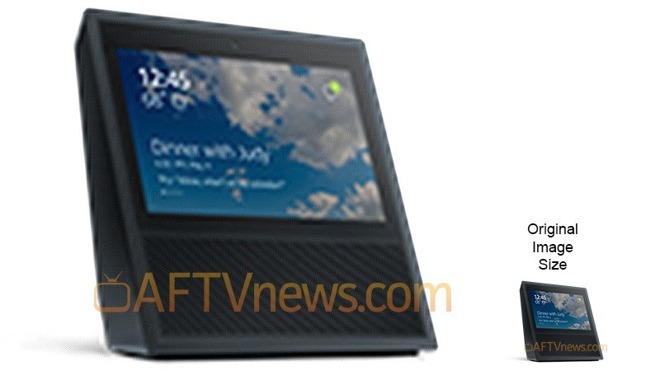 The image appears to show a new Amazon Echo model with a touchscreen display. It is angled upwards, making it easy to use when sitting on a counter or nightstand, with a camera above the display and what seems to be a speaker array below. Friday's report alleged that the new flagship Echo is codenamed "Knight" and it will be released later this month. 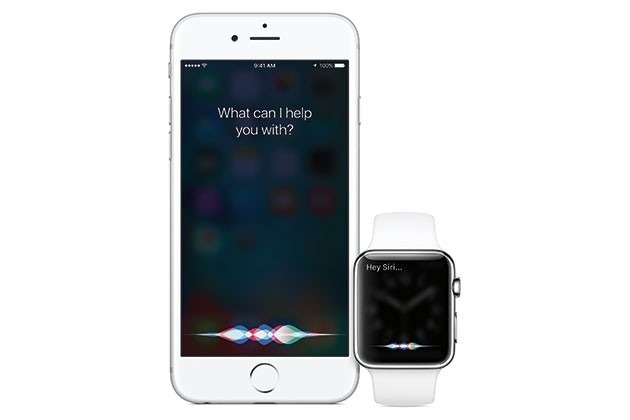 If that timeframe is accurate, Amazon could be looking to steal some thunder from Apple, who is rumored to launch its own Siri-driven Echo competitor as soon as next month at its annual Worldwide Developers Conference. Reports have suggested the device will borrow some design cues from the Mac Pro, with a cylindrical shape and concave top with physical controls. In addition, Apple's model is expected to carry a premium price with high-end components, including high-quality audio with one woofer and seven tweeters, as well as a powerful custom CPU equivalent to an A8 or newer. It is also rumored that Apple's home assistant will feature a custom W1 Bluetooth chip for easy pairing to accessories, and AirPlay support for high-fidelity audio over Wi-Fi. Similarly, it's expected that Amazon's touchscreen Echo will also target the high end of the market, considering existing models do not feature displays. AFTVnews.com suggested that the flagship Echo will be able to make both voice and video calls, and could be priced above $200.